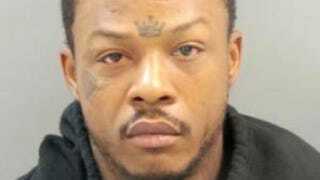 The police say they believe they’ve caught the person who torched churches in the St. Louis area. Authorities announced Friday the arrest of David Lopez Jackson, who has been charged with the arson of two churches, according to the Washington Post. “Hopefully, there are more charges coming,” said St. Louis Police Chief Sam Dotson, referring to his belief that Jackson is responsible for the remaining five fires under investigation. Jackson, 35, faces two counts of second-degree arson for fires at New Life Missionary Baptist and Ebenezer Lutheran churches. His bond has been set at $75,000. Authorities say they have surveillance video of Jackson’s car at both churches. The police say that investigators discovered a gasoline canister and thermos that “smelled like gasoline” in Jackson’s car. Many suspected that the fires, spanning Oct. 8-22, were racially motivated. They came after a wave of church burnings across the South that followed the killing of nine worshippers at Emanuel African Methodist Episcopal Church in Charleston, S.C., by a white supremacist. Five of the St. Louis church burnings involved predominantly black congregations, one was a mixed-race church and the other was predominantly white. Dotson said that Jackson’s motive is unclear. It doesn’t appear to be a hate crime targeting a specific ethnic group or Christian denomination. The churches represented several denominations: Catholic, Baptist, Lutheran, Church of Christ and one nondenominational.